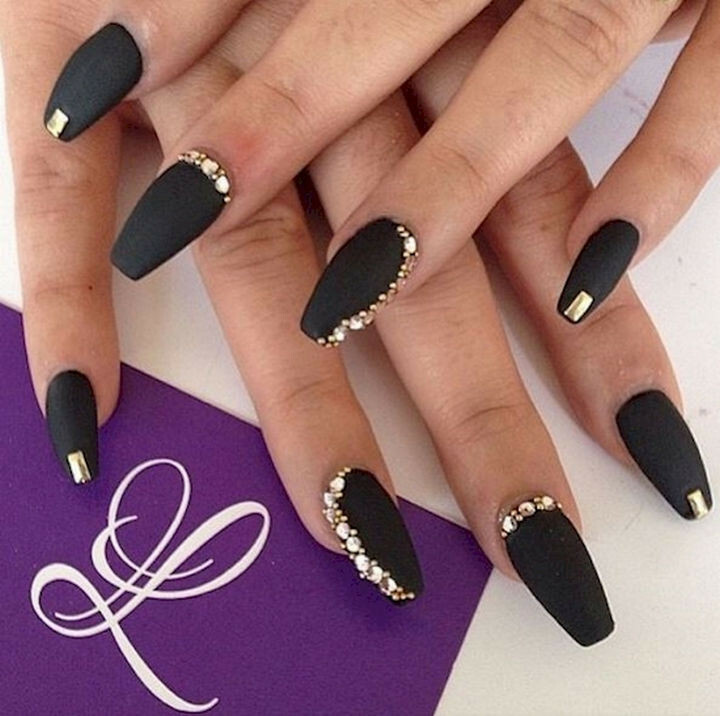 22 Elegant Black Nail Designs That Look Edgy and Chic. #10 Looks Stunning. Black nail polish is one of those things that you either like it or you don’t. 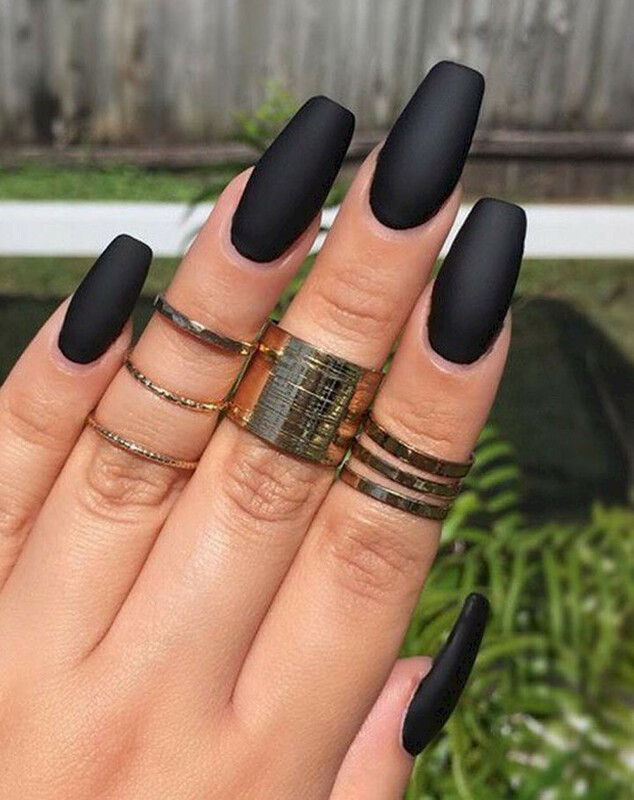 But if you’re someone who generally doesn’t like black nails, these 22 black manicures will make you rethink black nails. 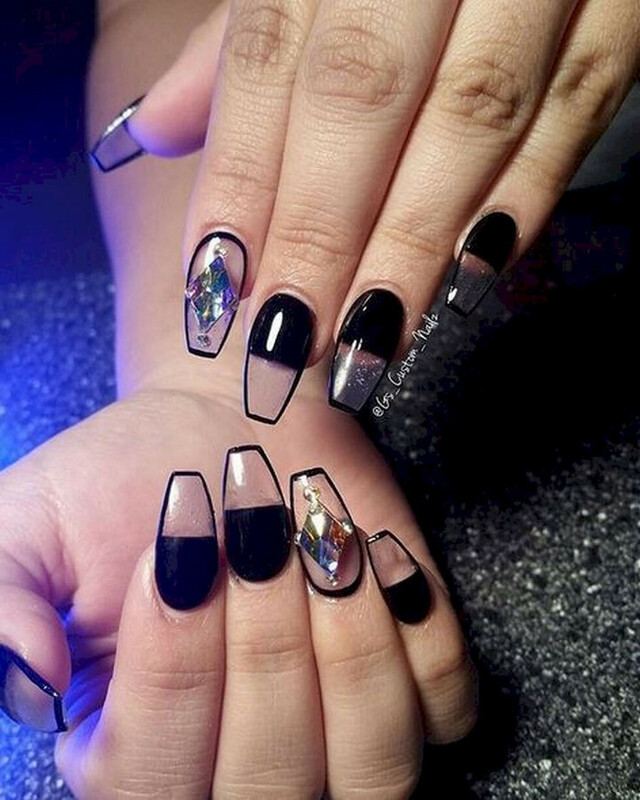 Just like black and white nail designs, black is neutral so it goes with pretty much any outfit you wear and you could add accents like gold striping tape or just go for a simple but stunning look. However you decide to wear it, black is so versatile that you can create an endless amount of styles that best represents your personality. 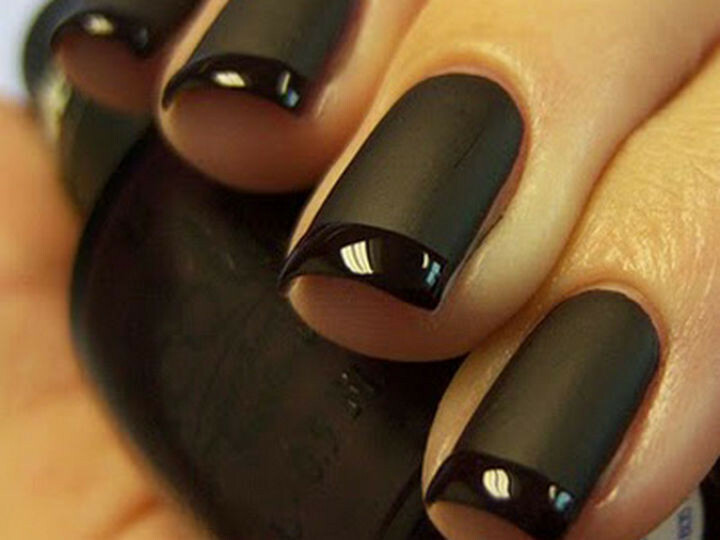 1) A beautiful black twist on a French manicure. 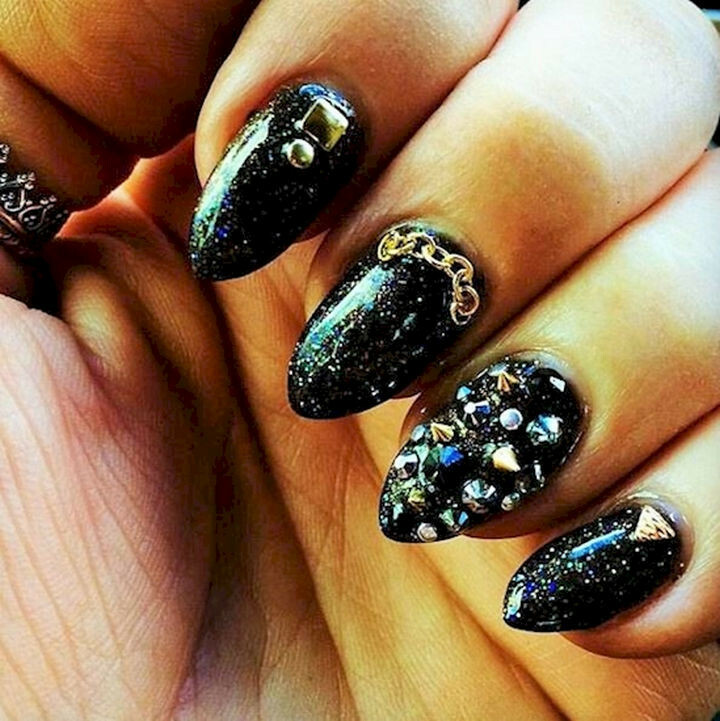 2) These nails have something for everybody. 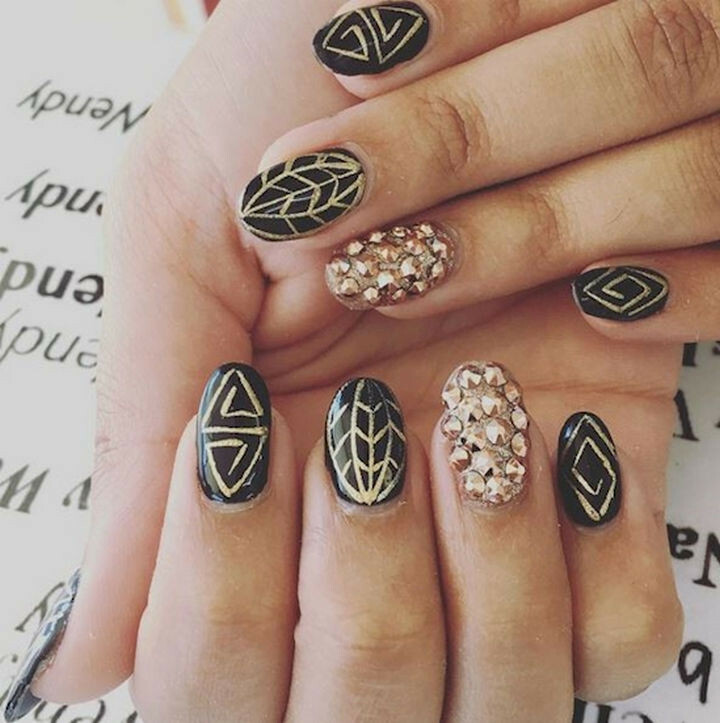 3) Bring out the gold bling for a unique look. 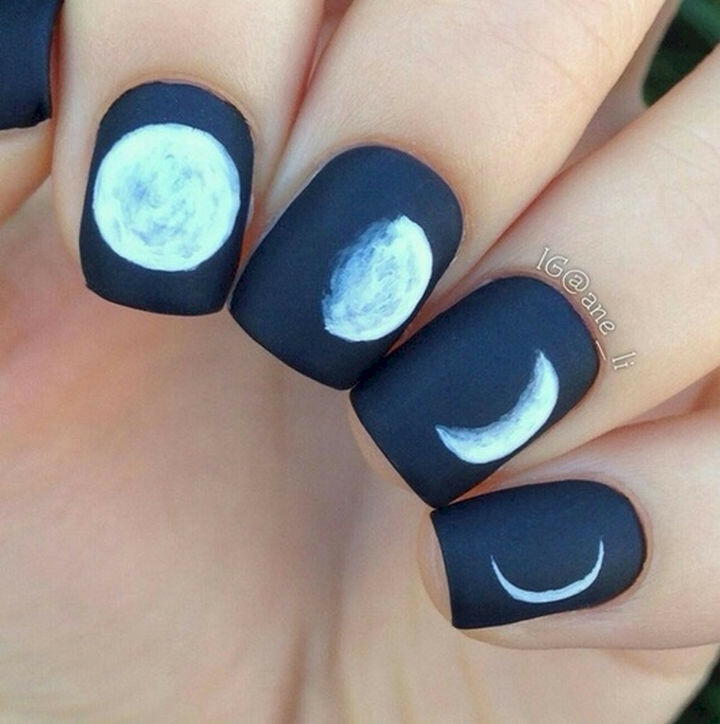 4) White on black nail art designs. 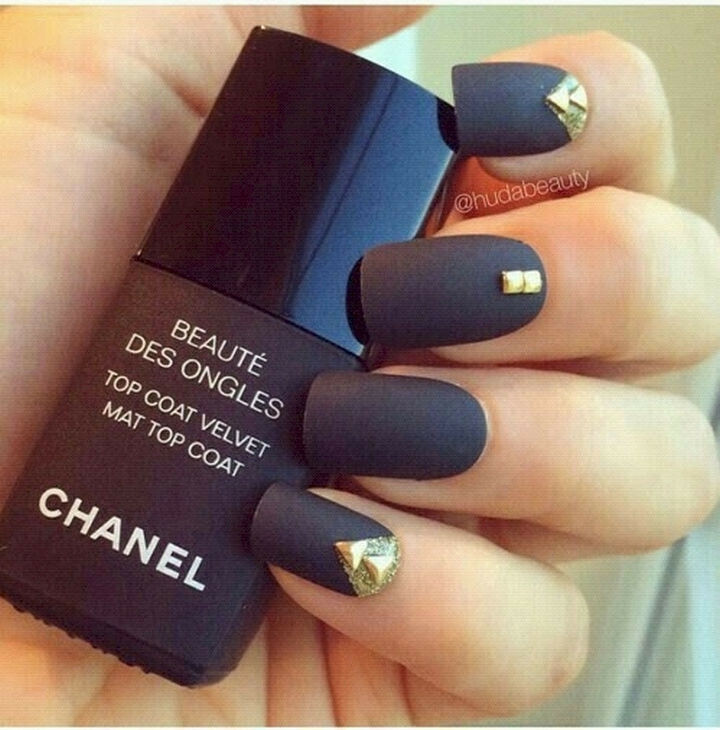 5) A gorgeous matte black design with gold studs. 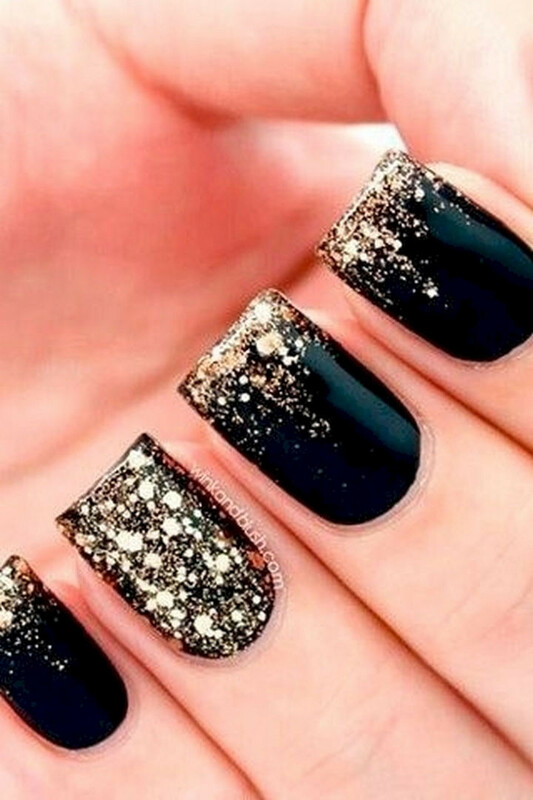 6) Glossy black with a gold glitter fade. 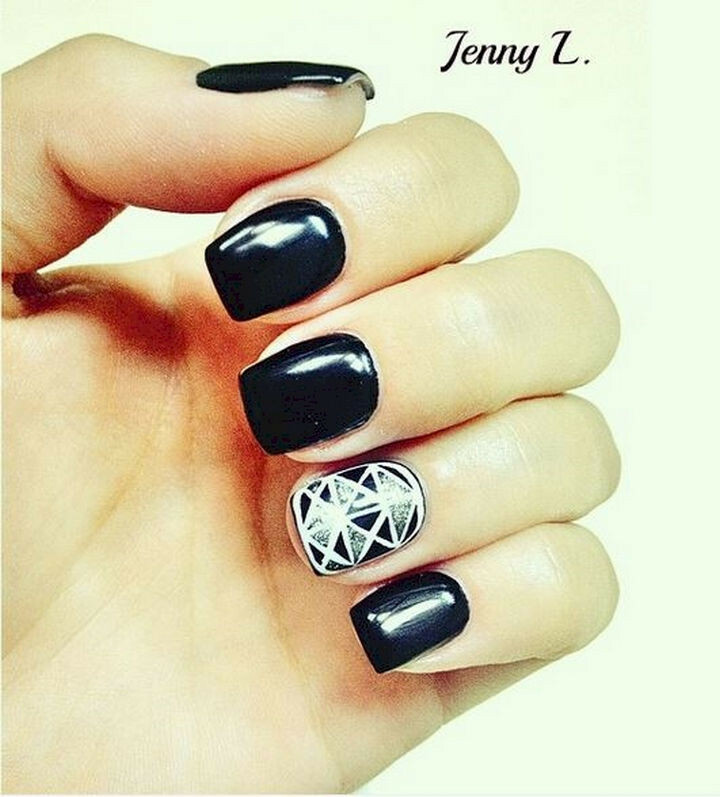 7) Show off your creativity with rock nails. 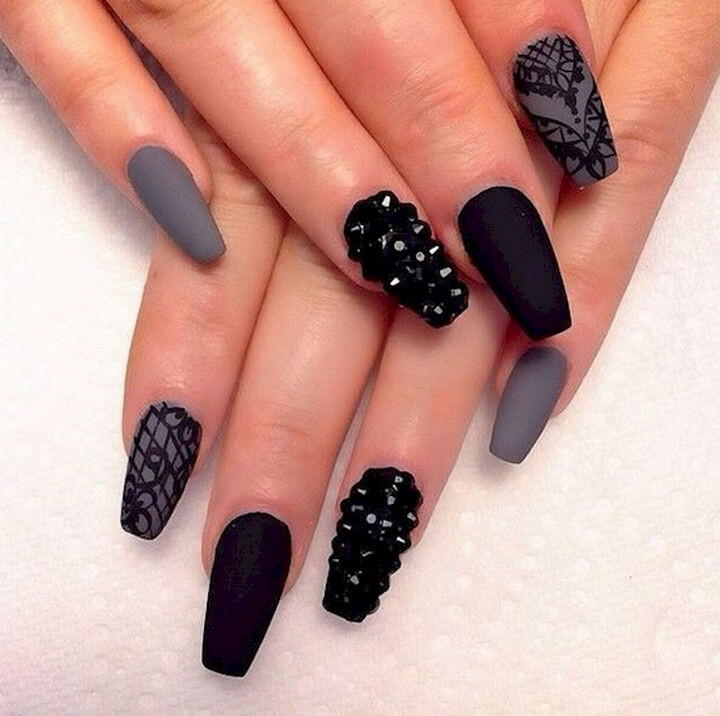 8) A trendy studded manicure. 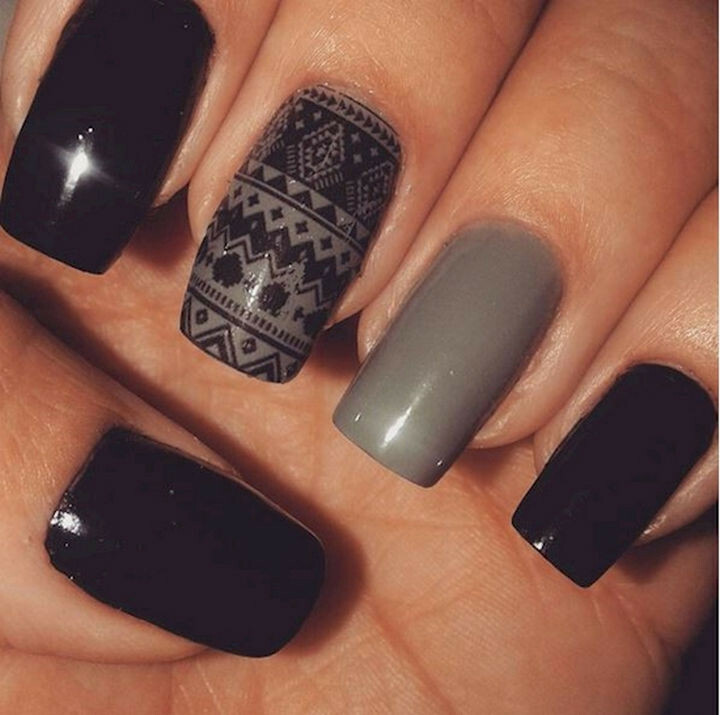 Like this mani? Here is a monochrome nails tutorial on YouTube. 9) A super cute look. 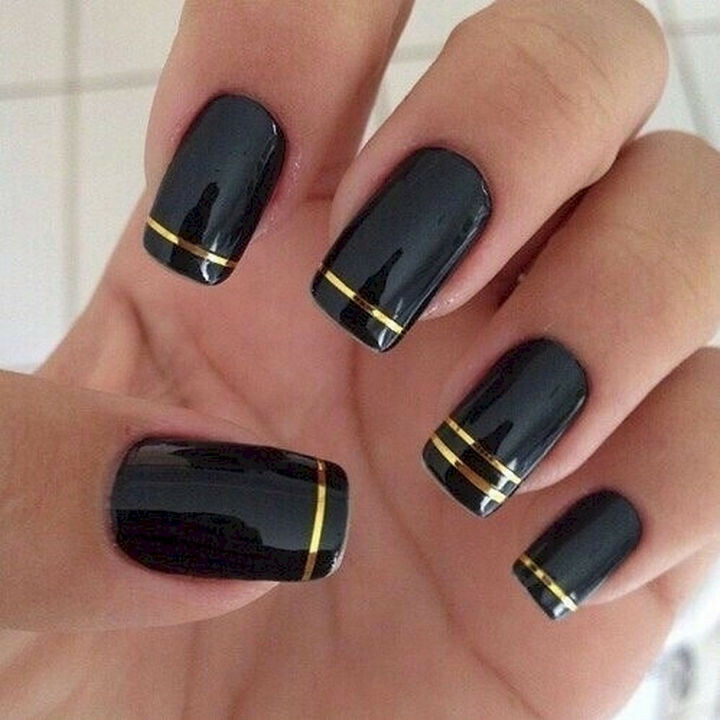 10) Elegant gold striped nails. 11) Another beautiful black on black French manicure. 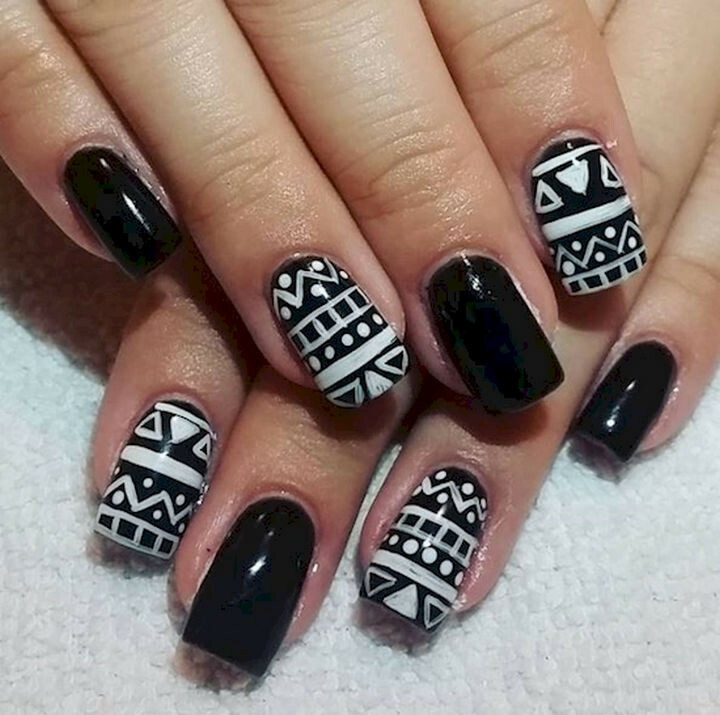 12) Accented nails with a pixelated pattern. 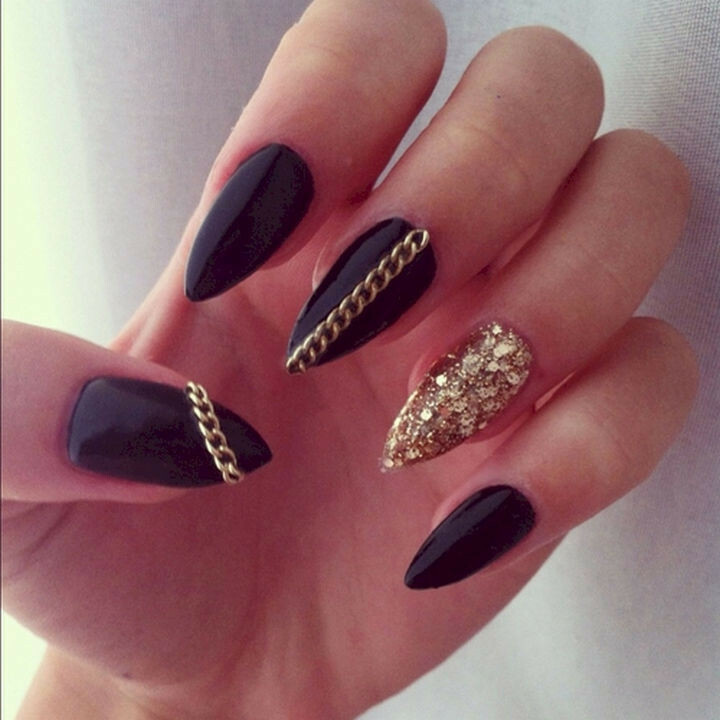 13) Bring on the gold chains with these gloss black stiletto nails. 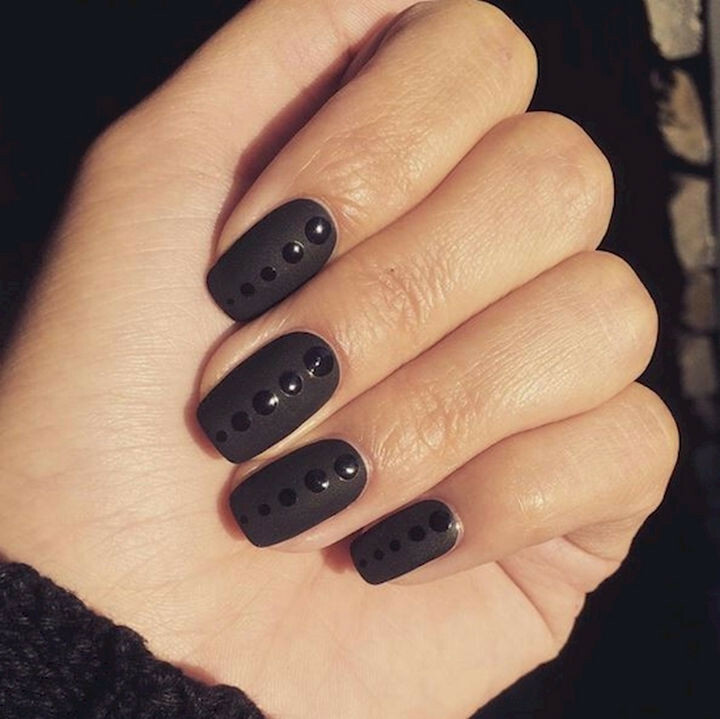 14) Awesome glossy dots on matte black nails. 15) The elegance of black with intricate rose gold art. 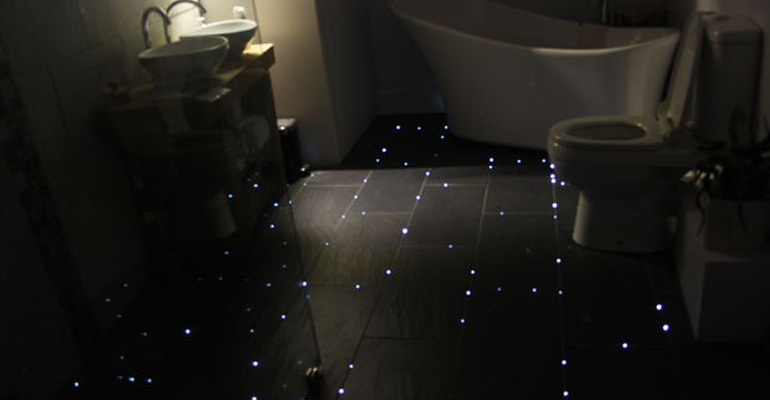 16) Simple yet elegant solid black with a matte finish. 17) Rock negative space nails with this look. 20) Glossy, matte, and glitter all in one beautiful look. 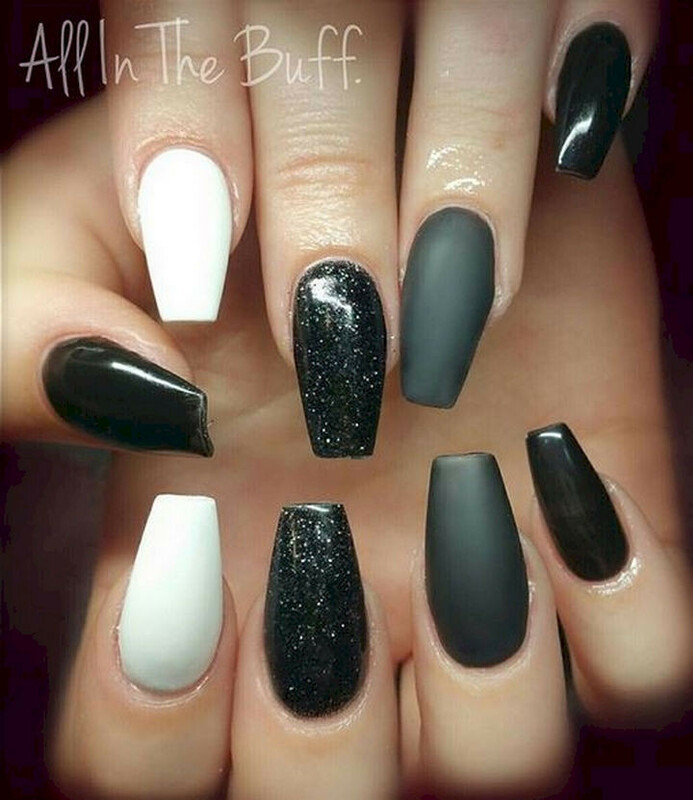 21) A classic look with a beautiful accent on each nail. 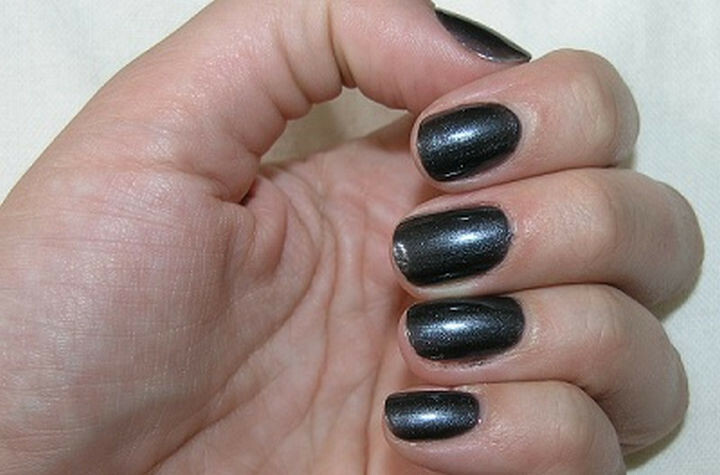 22) Get a futuristic style with shimmering nails. 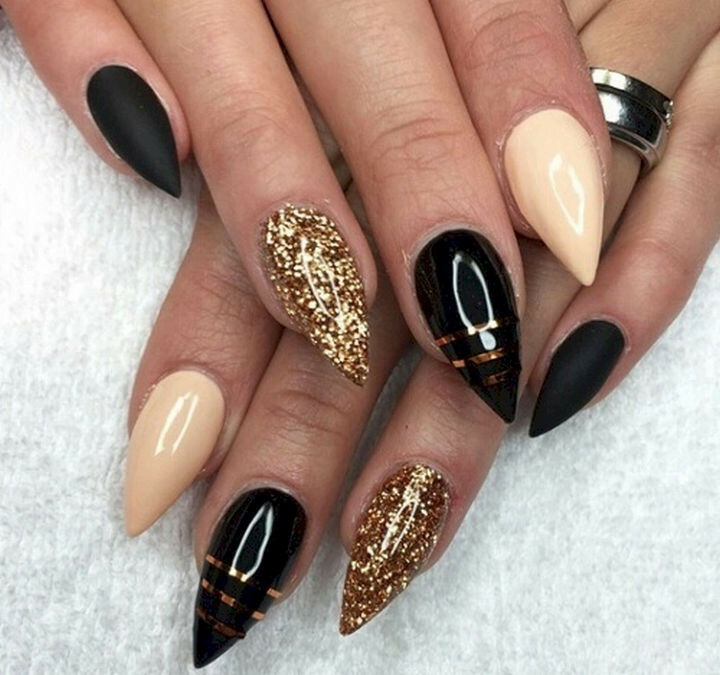 Give black nail designs a chance and you might be surprised by how great they look for any occasion. 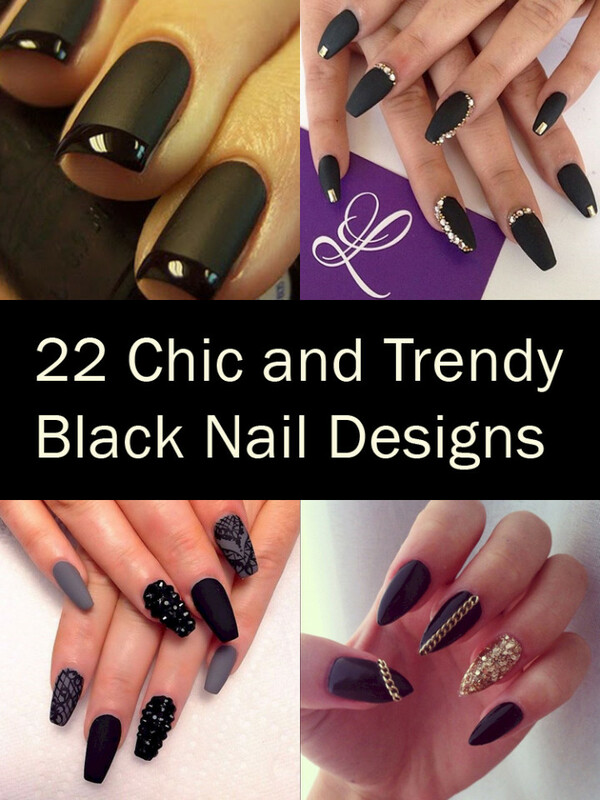 Please share these 22 black nail designs with your friends and family. 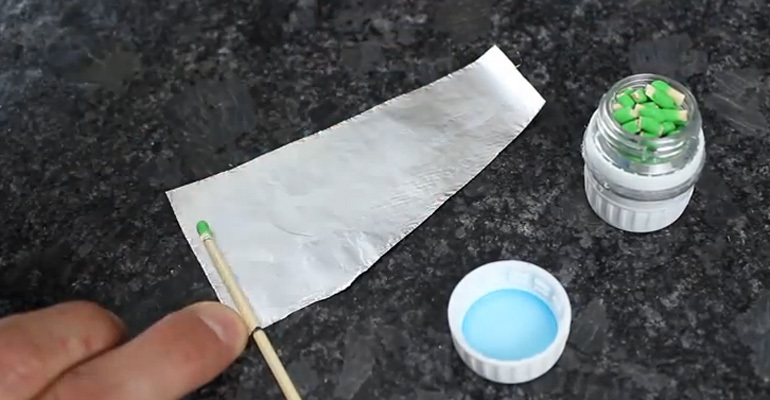 He Wrapped Foil Around a Match and Launched It Into the Air. So Awesome! 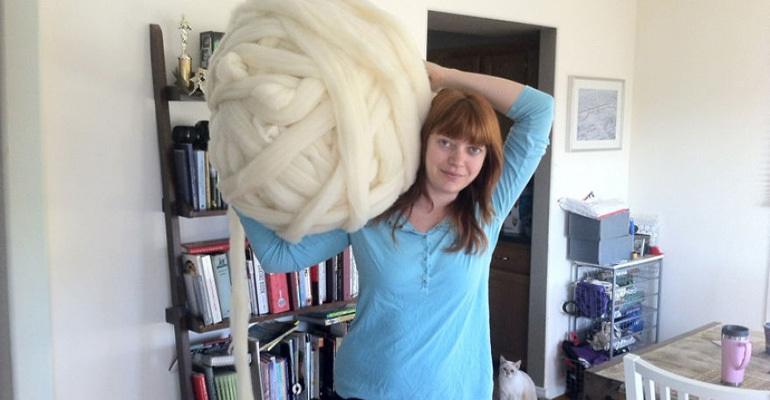 She Bought Some Wool Roving and What She Made with It Is Epic. She Even Shows Us How!